Castlefield Gallery is excited to be launching two pop-up New Art Spaces in the Great Northern Tower in city centre Manchester with an event on Saturday 24 June / 4:30pm-8pm. Castlefield Gallery is at the forefront of supporting emerging artists and new art practice in the North West and New Art Spaces is an initiative that sees the gallery creating dynamic project spaces for artists, artist collectives and artists development agencies in partnership with landlords and developers, to make use of temporary vacant retail, office and light industrial units. 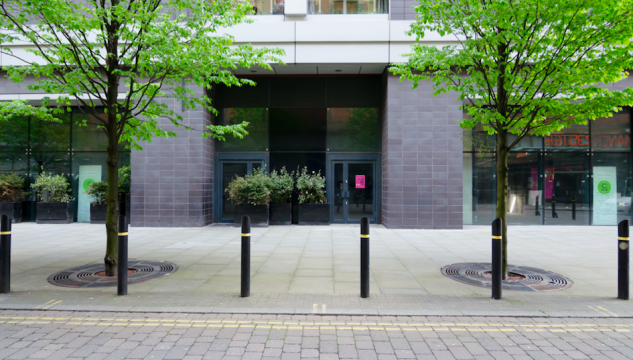 Castlefield Gallery is now pleased to be working with Premier Residential Lettings to make available the temporarily vacant units at the Great Northern Tower to provide a public platform for emerging artists in Manchester to develop and showcase new work to audiences. Castlefield Gallery | Agency (CG) is an Arts Council England National Portfolio Organisation, and a Manchester City Council Cultural Partner. Castlefield Gallery is a recipient of Arts Council England’s Catalyst Evolve fund, an initiative from Arts Council England supporting arts and cultural organisations to grow private giving and build resilience. This means that, between 2016 and August 2019, Arts Council England will match every pound we secure from new Trust & Foundation sources, corporate sponsorship and donations, as well as individual donations made to Castlefield Gallery, on a 1:1 basis.